I’ve searched the internet from stem to stern, consulted all my reference sources—and I can find nothing of calendar-worthy significance that has occurred on April 8. I can’t even find anything remotely amusing that I can try to connect to conservation. But in looking just a little farther, I found something perhaps minor, but also perhaps eminently deserving of note for April 8. On April 8 of four recent years—1980, 1987, 2003 and 2004—five species were added to the U.S. Endangered Species List. A database for the U.S. Fish and Wildlife Service tabulates all the species on the list, by the year in which each was added. Look at any particular year’s table, and you can see the date when each ofl the species for that year was added. It’s a tedious process, looking through 42 years worth of entries, but it can be done. And April 8 has five hits. 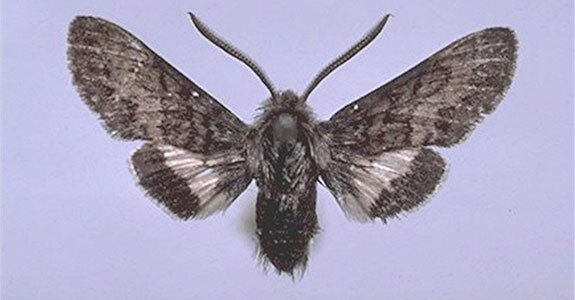 The Kern primose sphinx moth was added in 1980. It lives in only a few locations in one county of California’s Central Valley, threatened by massive land-use changes and pesticide use in agricultural fields. 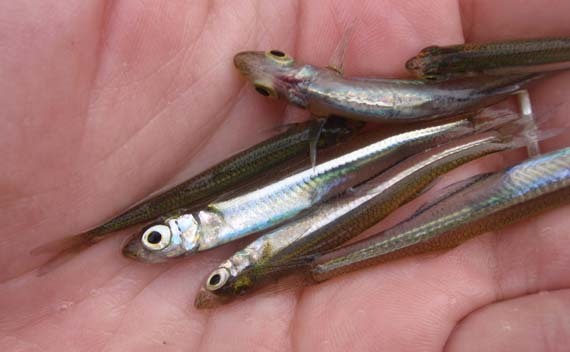 The Waccamaw silverside is a small minnow (is that redundant?) added to the list in 1987. It lives in just one lake in far southeastern North Carolina. It is very abundant in the lake, but found nowhere else on earth. Three plant species completed the April 8 entries. The Scotts Valley polygonum was added in 2003. 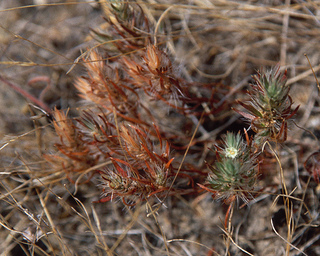 It is a tiny plant, only a few inches tall, that grows in one place, Scotts Valley of Santa Cruz County, California. It is being squeezed out of its habitat by human development. The other two plants, both listed in 2004, live on the Northern Marianna Islands, a U.S. territory in the South Pacific. They are so rare that they don’t even have common names. They are threatened, once again, by human development, but also by typhoons that can wipe out the species instantaneously—and which are becoming more frequent. None of these species is particularly noteworthy. None would fit into the category of “charismatic megafauna” (or flora, as the case may be). Few people have probably even heard of them, other than those that live near their habitats and have been impacted by their listing. Or those few entomologists, ichthyologists and botanists who study them for a living. But that is also what makes them so spectacularly noteworthy. No, not necessarily the species themselves (yes, I fully understand that every species is valuable), but the law that protects them. The U.S. Endangered Species Act protects our biodiversity whether or not the particular biodiversity subject is big, bold and beautiful. “The List,” maintained by the U.S. Fish and Wildlife Service and NOAA Fisheries, contains 1663 domestic species. The vast majority of those are just like the five that made it to the list on various April 8s.. They are inconspicuous and found in limited locations. They don’t make news, the Supreme Court doesn’t rule on their status, hardly anyone takes notice. Our laws do, however, at both federal and state levels. A bunch of smart and dedicated public servants keep us honest when it comes to our biodiversity. In the 1970s, politicians passed the laws that now protect us—wise politicians who voted their consciences, not their party loyalties, to make the right things happen. Biologists in local, state and federal agencies work every day, at marginal salaries and subject to inane government shutdowns, to discover, list, recover and de-list these species. So, on this insignificant date of April 8, let us remember, through the five species that we chose to protect on this date, that all endangered and threatened species deserve our protection. And so do the laws and people who make that protection happen. Five, not three, cheers for April 8! California Department of Fish and Wildlife. Scotts Valley Polygonum. Available at: https://www.wildlife.ca.gov/Conservation/Plants/Endangered/Polygonum-hickmanii. Accessed April 3, 2019. North Carolina Wildlife Resources Commission. Waccamaw Silverside. Available at: https://www.ncwildlife.org/Learning/Species/Fish/Waccamaw-Silverside#2527742-regulationspermits. Accessed April 3, 2019. USFWS. U.S. Federal Endangered and Threatened Species by Calendar Year. Available at: https://ecos.fws.gov/ecp0/reports/species-listings-count-by-year-report. Accessed April 3, 2019.